What are the Top 5 Gifts for the man who has Everything? One of the most difficult questions this time of year is contemplating what do you give a man that may have everything? This philosophical question has been asked throughout centuries of past gone historical times. Gift number 1- Time.Time is always on your side with the Watch that never needs winding! Of course, we know most folks use their phones as timepieces, but the truly stylish man needs an actual time piece. Boy, does the Tourbillon watch do the trick! 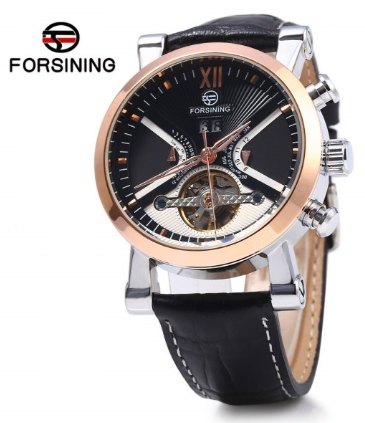 I’m talking about the Forsining Male Tourbillon Auto Mechanical Watch Leather Strap with Date Display. Tourbillon, the French word for "whirlwind" was developed around 1795 and patented by French-Swiss watchmaker, Abraham-Louis Breguet in June 1801. Simply put, the tourbillon counters gravity by mounting the escapement and balance wheel in a rotating cage at a slow rate. In other words, your movement eliminates the need for a battery or even winding up on a daily/weekly basis. Tourbillons range from $25.00 to $3,000. So, man with everything, can now have time on his side. Literally. Started from the bottom, now we’re here. 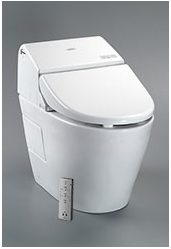 Say hello to the ultimate toilet. You’re not in Kansas anymore if you own a Toto Washlet. If you have a yard guy, you’re already free of this item on the “Honey Do” list. But imagine flipping a switch and … Presto! Your lawn is magically cut. The WORX Landroid Robotic Lawn Mower should be on your list! The auto mower not only allows you to customize how low you want your grass cut but it does it practically noiselessly! The $1000 investment is well worth it to add more “you” time. The Alex Noel Deluxe Design Tool on shopAlexanderNoel.com is the perfect gift for the guy who has everything. Without leaving the house, through the magic and convenience of one’s computer, the stylish man can design and create exactly what he wants. The sky’s limit for whatever style---casual, dress, golf or slippers--- sole, color, leather or textures he prefers. Speak with the AN chat team to order a Gift Card Code for the Alex Noel Deluxe Design Tool! Price range from $220.00 to $370.00. There are many list for Gifts for men online, and these 5 just represent a few great items that a man would enjoy. Although I did not answer the meaning of Life, I hope that I provided some potential options of gifts that may excite the men in your life, but also providing a gift to a man a that has everything.